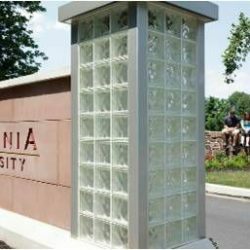 (Reading, PA) — Alvernia University President Thomas F. Flynn, Ph.D., will bestow several awards at an annual President’s Dinner, Thursday, Oct. 12. Honorees include alumna Julie Angstadt, Ellen Frei Gruber Award; Cheryl Callahan, Distinguished Alumni Award; and Opportunity House, Pro Urbe Award. Joanne Judge and Rick Oppenheimer have earned the university’s top honor: the Franciscan Award. Alvernia’s Franciscan Award honors individuals who selflessly give of their time, talents and resources for the betterment of others, and is presented for exceptional service to the university, the community and an individual’s profession. Joanne Judge and her husband Rick Oppenheimer have been instrumental in a number of university and community initiatives throughout the years. As Co-Chair of Stevens & Lee’s Health Care Department, Judge is one of the highest profile women in health care with 30 years of health care and financial industry expertise. A long-time Alvernia trustee, she has served on a number of boards for organizations like the Reading Museum, Reading and Lancaster Area YMCAs, the Lancaster Chamber of Commerce and the Lancaster Bar Foundation. In 2000, she was named one of Pennsylvania’s inaugural “Best 50 Women in Business,” for significant contributions to state job growth. Oppenheimer, an Army Veteran and industrial engineer, was a long-time engineering consultant, having founded Management Consulting Services, Inc., in 1966. Like his wife, Oppenheimer has served on an impressive number of boards, including Fulton Theater, Assets Lancaster, Lancaster Symphony Orchestra, and the Rotary Club of Lancaster. He is known for mentoring individuals who are developing micro-enterprises and fellow University of Pennsylvania wrestling alumni. The university’s Pro Urbe Award is presented to an organization that performs significant community service and contributes to a higher standard of living in Berks County and surrounding communities. For 33 years, Opportunity House has been a beacon of hope for regional homeless people. Just last year, the organization offered emergency shelter to nearly 500 people and served 96,547 meals. In addition, the 24-hour shelter offers men, women and children ways to improve their quality of life through its Learning Center, a supportive services program for Veterans and their families, a reuse and recycle program and a Children’s Alliance Center. At Opportunity House’s Technology Center, children have access to laptop computers for homework and skill building. At the age of 32, Cheryl Callahan — a Class of 1979 graduate and this year’s Distinguished Alumni Award winner — earned a degree in biology at Alvernia while caring for two young children. She immediately began an impressive career that included establishing her own phlebotomy business. Founded in 1992, Profiles Encourage, Inc., now oversees blood work, immunizations and physicals for nearly half of all Major League Baseball teams, including the Philadelphia Phillies, Pittsburgh Pirates and the New York Yankees. The 2017 Ellen Frei Gruber Recipient, Julie Angstadt, Class of 2005, will be honored for embracing Alvernia’s core values of service, humility, peacemaking, contemplation and collegiality while demonstrating exceptional commitment to Alvernia’s Alumni Association and a number of community organizations. An Alumni Council member for the past six years, Angstadt has served as co-chair for both the Alumni Chapters Committee and the Affinity Engagement Committee, and taken the lead in a remarkable number of alumni events, including New York City tours, student orientation and business capstone networking socials. ALVERNIA is a thriving university that empowers students through real-world learning to discover their passion for life, while providing the education to turn what they love into lifetimes of career success and personal fulfillment, helping them make the world a better place. Situated on a scenic 121-acre suburban campus in historic Berks County, Pa., the university of more than 3,000 students offers more than 50 undergraduate majors and minors and a range of graduate programs at the master’s and doctoral levels.